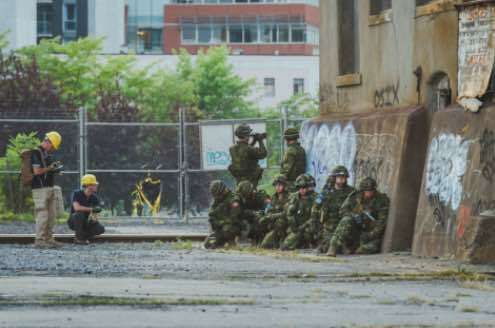 In today’s complex and ever changing operational environment, the demand for increased situational awareness continues to grow. 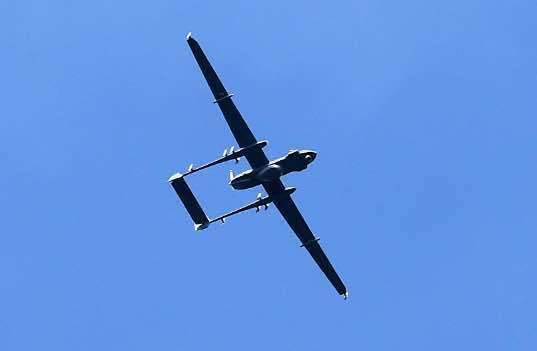 As a decisive and indispensable tool, air based ISTAR is increasingly relied upon to deliver this capability, allowing commanders to understand the situation on the ground and act accordingly. 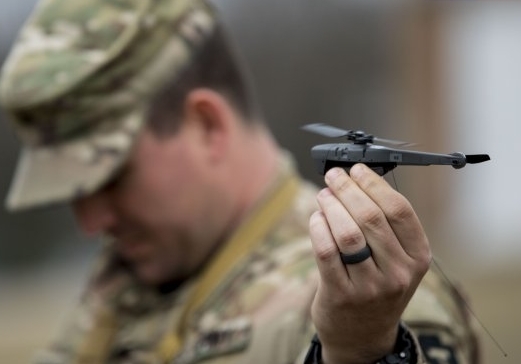 As this need to effectively develop information superiority grows, it is essential that modern joint operations maintain effective surveillance of enemy positions from the air. 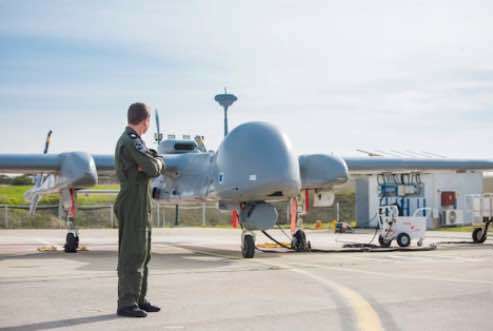 With both manned and unmanned ISR assets growing in complexity and capability there is a critical need for a forum within which optronics, power, sensor suites and operational reliability of these platforms can be discussed. 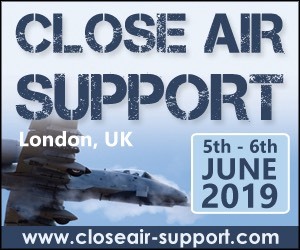 SMi Group are delighted to host in London the fourth annual Airborne ISR Conference partnered with Leonardo and Rafael Defence Systems announcing their support for the event. Whether you wish to hear from leading ISR platform programme manager, technical experts involved in BLOS data links, officers delivering new optronics and sensor suites or insight into the latest power and engine performance – Airborne ISR 2018 will provide you with the solutions to maximise your future capability. 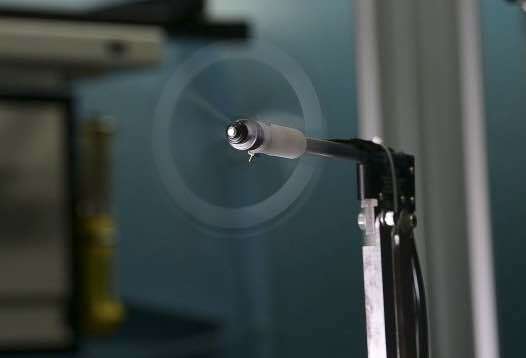 Covering direction, collection, process, dissemination and targeting, Airborne ISR aims to thoroughly analyse the intelligence chain and deliberate best practice for the enhancement of ISTAR capability. 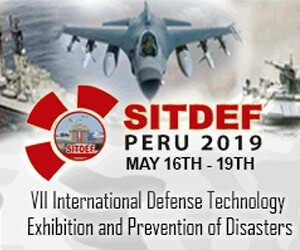 Drawing on respective nations ISTAR structure, operational feedback and training, to explore the doctrines and strategy necessary to develop this vital asset. 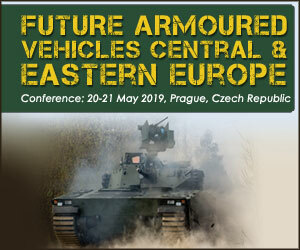 Importantly, the conference will also benefit from the guidance of technical leaders from research and industry, whose insight into the latest platforms, systems and sub-systems will provide greater awareness of existing and future capability for the modern operator. SAN DIEGO, CA. 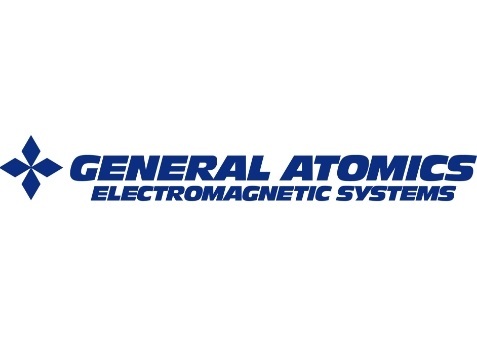 --- General Atomics Electromagnetic Systems (GA-EMS) announced today that it participated in the Rim of the Pacific Exercise (RIMPAC) to conduct demonstrations and testing of the Missile Defense Agency’s (MDA) Airborne Tracking and Targeting System (ATTS). Airbus will be joining SMi’s 4th Annual Airborne ISR conference in London in 2 weeks! 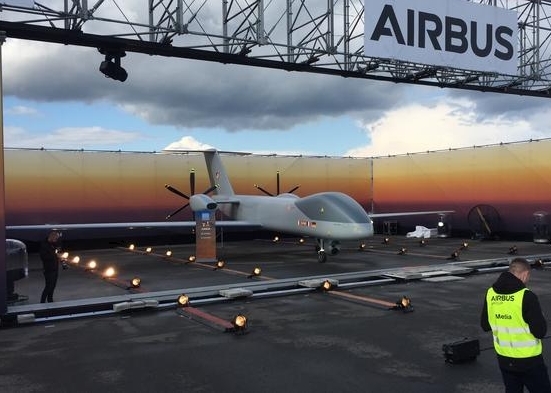 SMi Reports: Airbus will be sponsoring and speaking at this year’s Airborne ISR conference, taking place on the 24th and 25th October 2018 in London, UK. 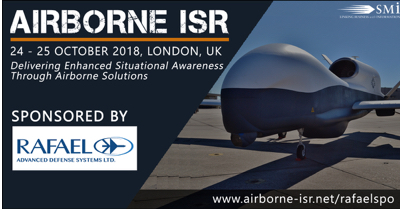 The 4th Annual Airborne ISR event will be taking place in London on on the 24th and 25th October 2018. 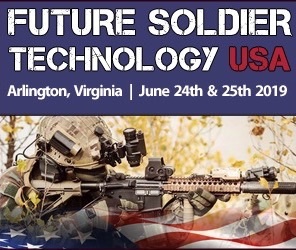 The event will bring together a global audience of senior ISTAR operators, capability developers and solution providers, to discuss the latest developments in capabilities, system integration, operational case studies and cutting-edge technology. With highly focused, expert-led presentations exploring an array of new technologies, airframes and doctrine, Airborne ISR 2018 attendees will benefit from a diverse international line up of senior military and MoD speakers. 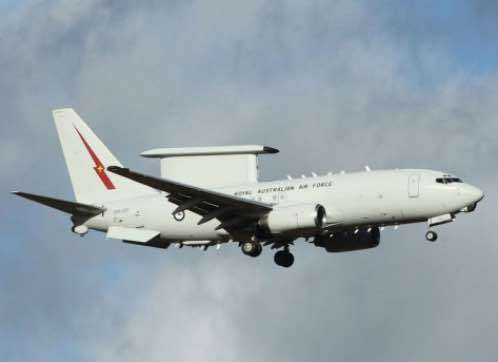 I am pleased to inform the House today that the Ministry of Defence (MOD) has begun discussions with Boeing about the potential for the E-7 Advanced Early Warning and Control ‘Wedgetail’ aircraft to replace the current Sentry fleet. 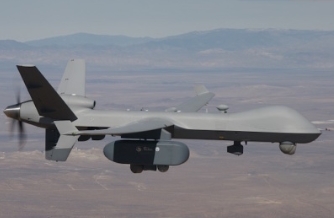 SAN DIEGO --- Partnered with the U.S. Army, General Atomics Aeronautical Systems, Inc. (GA-ASI) recently completed Follow-On Operational Test & Evaluation (FOT&E) for its MQ-1C ER Gray Eagle Extended Range. 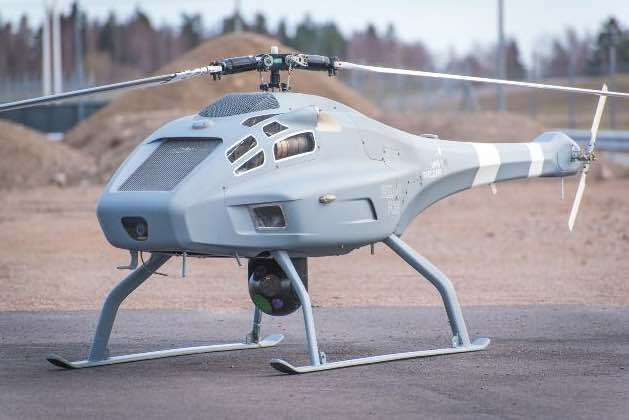 NEW YORK -- L3 Technologies announced today that it has been awarded an indefinite-delivery/indefinite-quantity (ID/IQ) contract valued at up to $454 million from the U.S. Army for the next-generation WESCAM MX™-10D electro-optical/infrared and laser designator (EO/IR/LD) sensor suite. 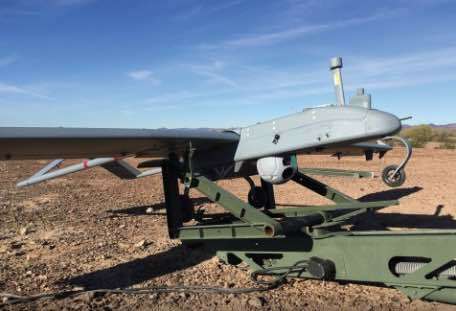 These modernized ISR systems operate from the Army’s Tactical Unmanned Air Systems Shadow UAV (RQ-7Bv2) and provide an advanced capability to collect critical information for use by all members of an air-ground maneuver team. This is a five-year contract, with an option for the U.S. Army to extend for an additional five years. WASHINGTON --- The State Department has made a determination approving a possible Foreign Military Sale to Canada of three (3) King Air 350ER (extended range) aircraft with customer unique post-modifications for Intelligence, Surveillance and Reconnaissance (ISR) operations for an estimated cost of $300 million. 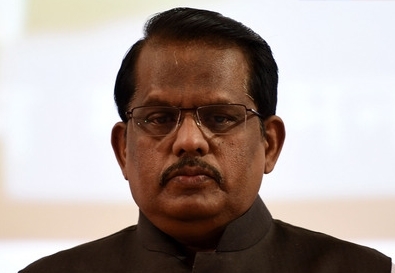 The Defense Security Cooperation Agency delivered the required certification notifying Congress of this possible sale on October 3, 2018. 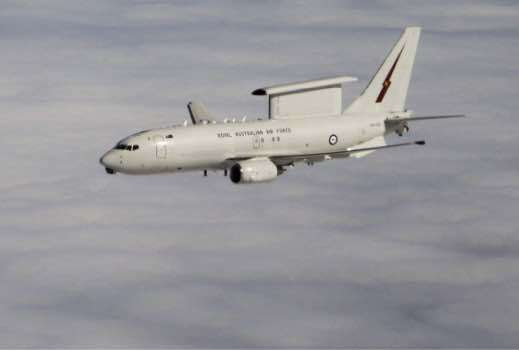 The Federal Government today announced the signing of the E-7A Wedgetail Head Agreement with Boeing Defence Australia (BDA). 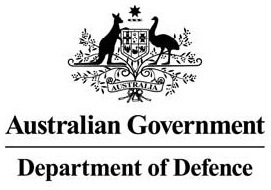 The Agreement integrates $1.5 billion in current contracts into a flexible overarching framework for this significant capability which supports 600 jobs across Australia. 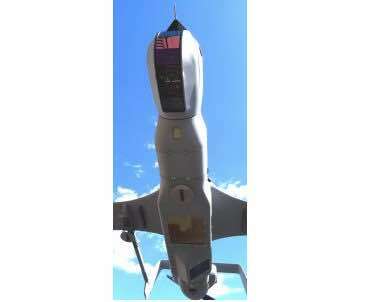 FAIRFAX, Va. -- Logos Technologies reports that Redkite-I, a wide-area motion imagery (WAMI) system designed for the Insitu Integrator unmanned aircraft system (UAS), successfully completed its final flight test during the last week of August at the Insitu flight test facilities in Boardman, Oregon. 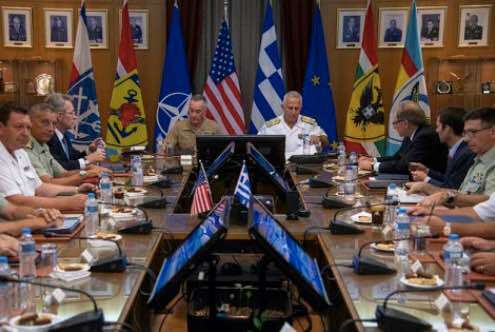 ATHENS, Greece --- The chairman of the Joint Chiefs of Staff said he very much welcomed seeing the Eastern Mediterranean region "through a Greek lens" as he finished consultations with his counterpart, Greek navy Adm. Evangelos Apostolakis, the chief of the Hellenic National Defense General Staff. 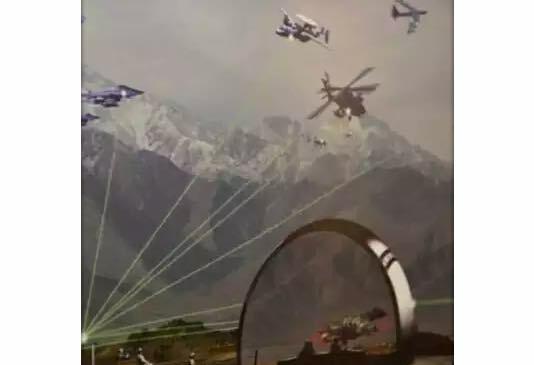 NEW DELHI -- The Indian Army is scouting for a remotely piloted aircraft system with anti-jamming and anti-spoofing properties for providing real-time input in the form of imagery and electronic data to detect and combat foreign military formations and activities at forward bases, especially along the border with China. 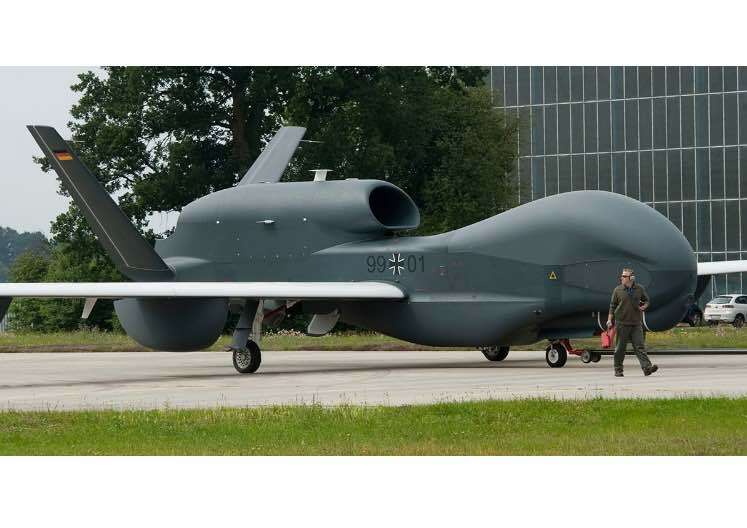 On 3 August 2018, a procurement contract concerning a new, unmanned aerial reconnaissance system for the Navy was concluded between the Federal Office of Bundeswehr Equipment, Information Technology and In-Service Support and Elektroniksystem- und Logistik-GmbH. SMi Reports: Zvi Yavin, ISR Systems, Head of ISR at Rafael interview has been released just a few months before the Airborne ISR conference SMi Group recently caught up with expert speaker Zvi Yavin, Head of ISR Systems, Product Line Manager at Rafael, in the run up to the 4th annual conference on Airborne ISR, taking place on 24th and 25th October 2018 in London, UK. 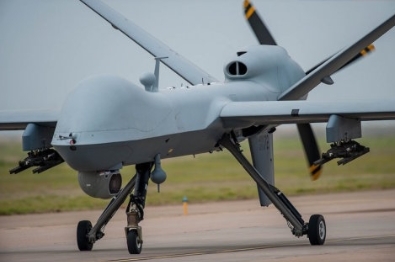 SAN DIEGO – The French Air Force operated two of its MQ-9 Reaper® simultaneously in support of France’s Bastille Day events, one over Paris and the second over Cognac, on July 14th. 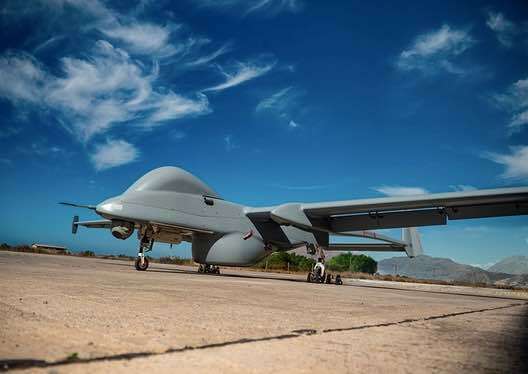 The “French Reapers,” Remotely Piloted Aircraft (RPA) built by General Atomics Aeronautical Systems, Inc. (GA-ASI), assisted French authorities by providing airborne surveillance over the national celebration. 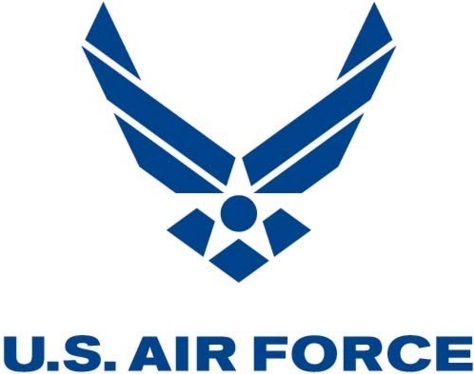 Washington, D.C. (AFNS) -- Today the Air Force released the Next Generation Intelligence, Surveillance, and Reconnaissance Dominance Flight Plan, an encompassing strategy about how the service maintains and enhances decisive advantage amidst the reemergence of great power competition and rapid technological change in the digital era. 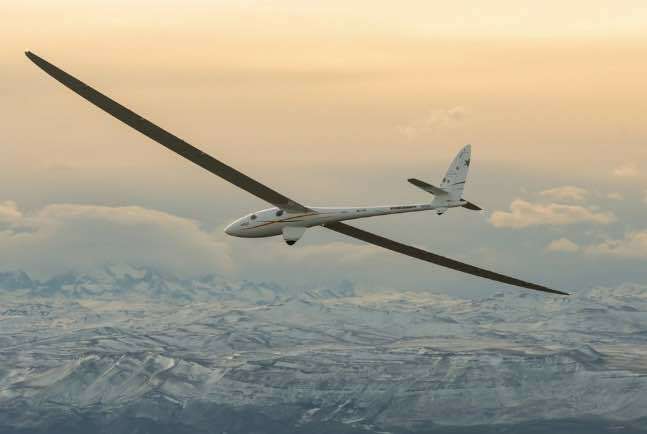 FARNBOROUGH --- Zephyr S, Airbus’ High-Altitude-Pseudo-Satellite, has surpassed the current flight endurance record of an aircraft without refueling of 14 days, 22 minutes and 8 seconds and continues to pioneer the stratosphere. ROME --- Leonardo continues to work with the Italian Air Force to deliver advanced training and simulation activities. 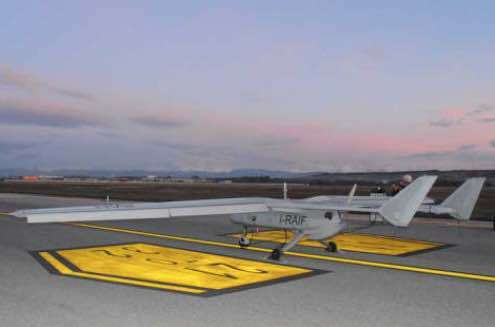 On the 18th-20th July, immediately following the public launch of the innovative public-private partnership between Leonardo and the Italian Air Force to create an International Flight Training School, the Company supported the Italian Air Force’s participation in the ‘Spartan Alliance’ virtual air exercise. HAIFA, Israel --- Elbit Systems commences global marketing of the Hermes 900 StarLiner, a powerful and trend setting Medium Altitude Long Endurance (MALE) Unmanned Aircraft System (UAS) that features adverse weather capabilities and is fully compliant with NATO's Standardization Agreement (STANAG) 4671, qualifying it to be safely integrated into civilian airspace and fly in the same environment with manned aircraft. 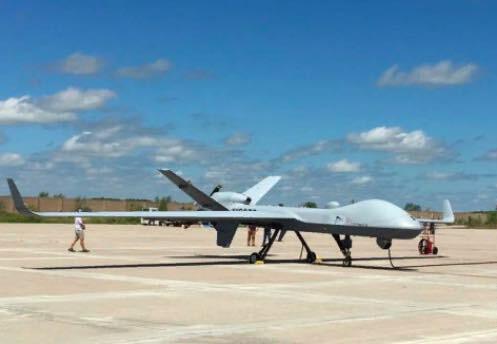 GRAND FORKS --- Today at 12:48 p.m. CDT a Medium-altitude, Long-endurance (MALE) Remotely Piloted Aircraft (RPA) produced by General Atomics Aeronautical Systems, Inc. (GA‑ASI) took off from Grand Forks, North Dakota, USA on the first-ever trans-Atlantic flight of a MALE RPA. 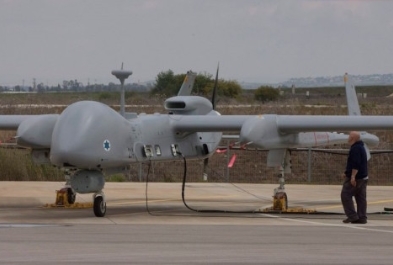 Two PASI Searchers Mk III Class II Tactical Unmanned Aerial Vehicles (UAVs) upgraded by IAI/MALAT were successfully tested by NSPA and the Spanish Army in the Eim Shemer Airfield (Israel) at the end of June 2018. 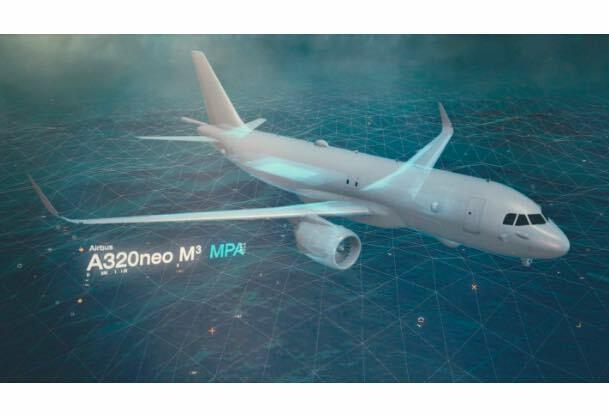 SMi Reports: Leonardo, Intelsat General, and Rafael have joined this year’s 4th annual Airborne ISR conference as sponsors, which is taking place this October in London. SMi Group has recently announced Leonardo as the Gold Sponsor, and Intelsat General and Rafael as the newest sponsors of the 4th annual Airborne ISR conference, returning this autumn to London, UK on the 24th and 25th October 2018. 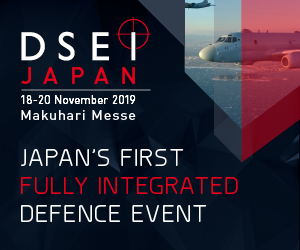 The two-day event is set to feature leading ISR platform programme managers, technical experts involved in BLOS data links, officers delivering new optronics and sensor suites as well as providing insight into the latest power and engine performance. In addition to two full days of presentations and panel discussions from expert speakers, the event will also feature a half-day pre-conference workshop on 23rd October 2018. 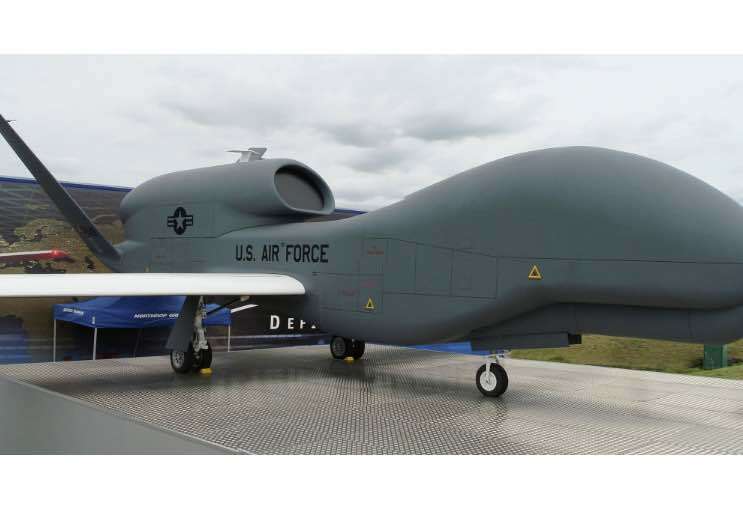 SAN DIEGO --– General Atomics Aeronautical Systems, Inc. (GA-ASI) is using an integrated fuel tank structure to maximize fuel offload for the proposed MQ-25 unmanned aerial refueling aircraft for the U.S. Navy. 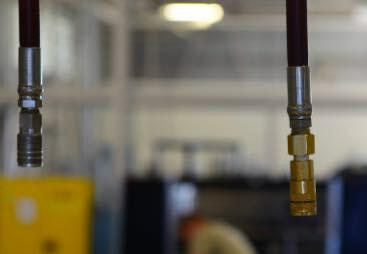 GA-ASI applied its knowledge of advanced composite aircraft structures to develop integrated fuel tanks in a large-scale wing box test article and a full-scale wing skin pre-production validation article. 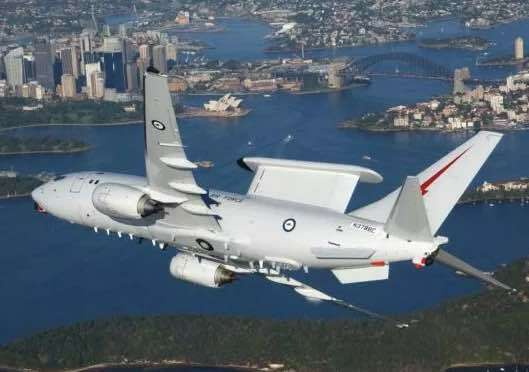 The Australian Department of Defence­ officially announced its plan on June 26, 2018 to purchase the Northrop Grumman Corporation built Triton aircraft system, further cementing the company’s commitment to a longstanding U.S. ally. 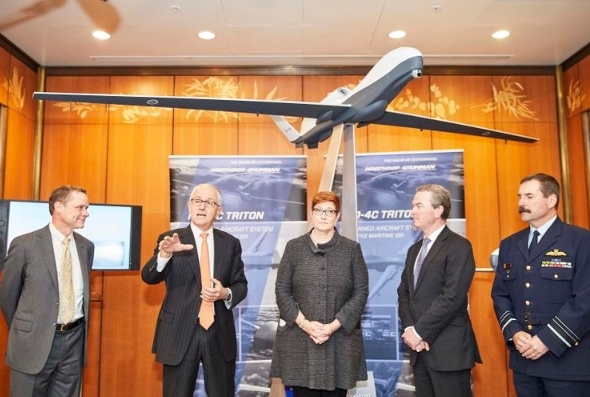 The Turnbull Government will invest around $110 million at RAAF Base Tindal to support Australia’s cutting edge new MQ-4C Triton remotely piloted aircraft, with Northern Territory businesses in the box seat to help deliver the infrastructure project. 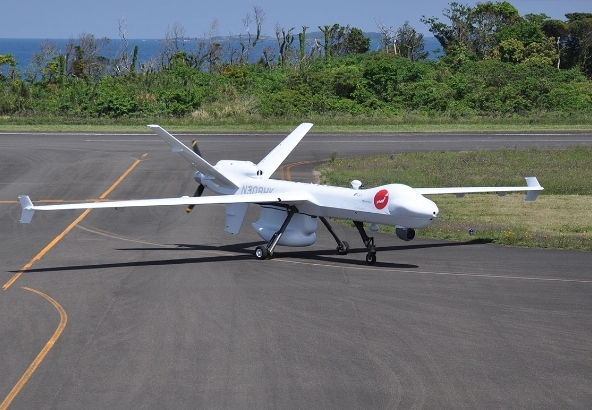 TOKYO --– General Atomics Aeronautical Systems, Inc. (GA-ASI) today announced that the Guardian Remotely Piloted Aircraft (RPA) has concluded the first large-scale demonstration flights in Japan. 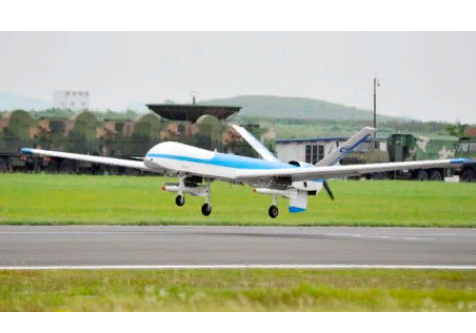 The demonstration flights, which took place from 10 - 23 May were intended to promote the civil and scientific applications of the RPA. Their big moment has arrived. Yesterday (Wednesday), RPAV (Remotely Piloted Aerial Vehicle) Operator Course 31 came to an end. 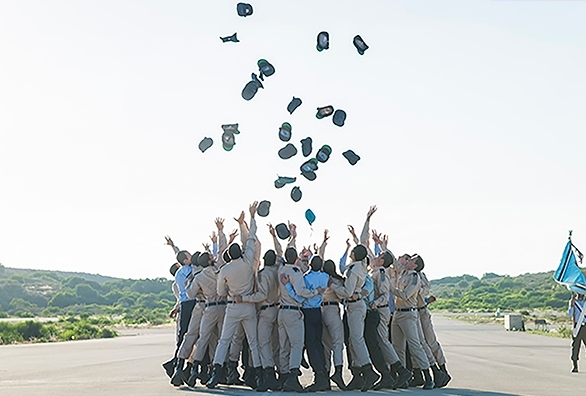 The Commander of the IAF granted the 29 graduating cadets their insignia. This is the largest class to ever finish the IAF’s course. 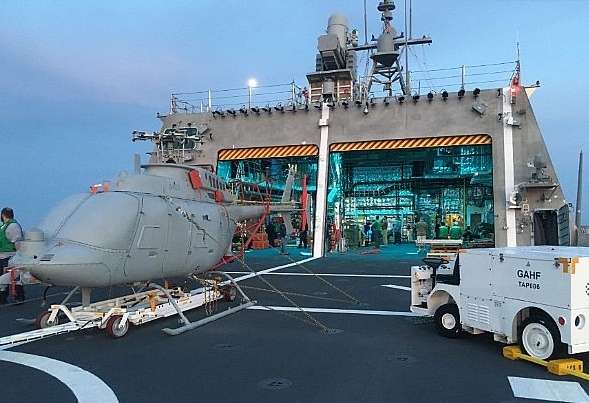 PACIFIC OCEAN --- USS Coronado (LCS 4) began underway operational testing of the Navy's newest unmanned helicopter, the MQ-8C Fire Scout, off the coast of San Diego, June 15. 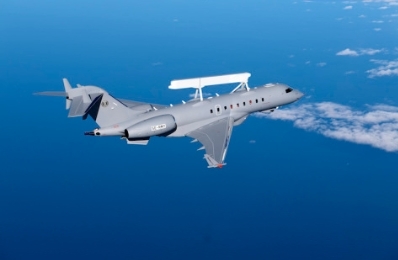 Saab has received an order from the United Arab Emirates for additional functionality for the advanced airborne early warning & control (AEW&C) solution GlobalEye. 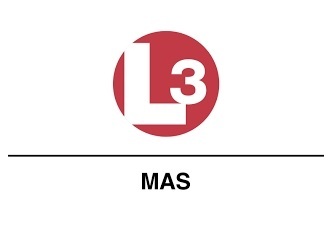 The order value is approximately SEK 345 million. 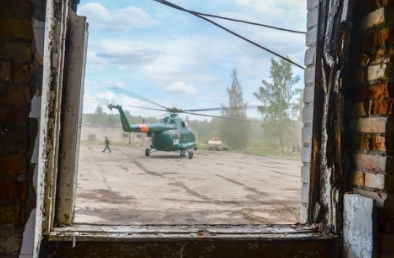 SKRUNDA, Latvia --- Saber Strike 18, wrapped up with a large-scale battle scenario involving multiple countries in Skrunda, Latvia on June 13, 2018. 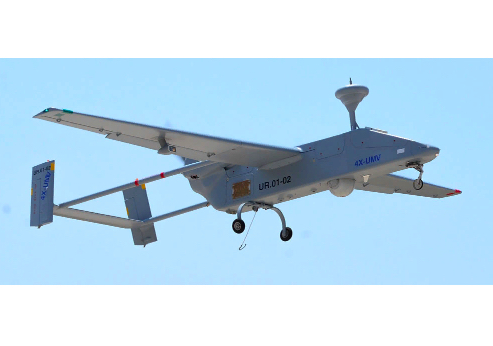 BERLIN --- Airbus and the Federal Office of Bundeswehr Equipment, Information Technology and In-Service Support (BAAINBw) have signed an operator agreement for Heron TP unmanned aerial systems (UAS) after parliamentary approval was granted on 13 June 2018. 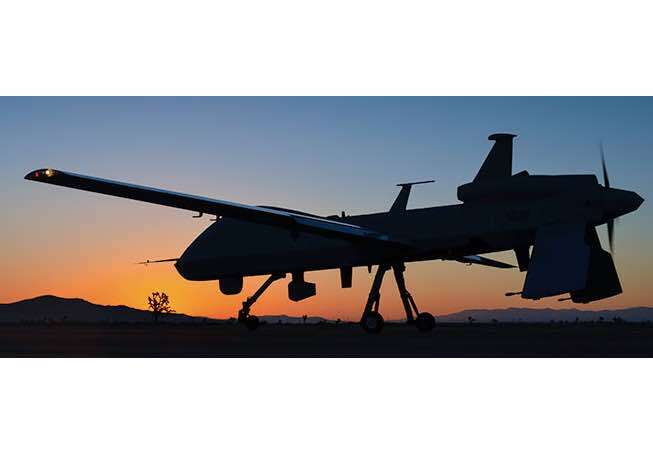 General Atomics - Aeronautical Systems Inc., Poway, California, has been awarded a $22,907,561 firm-fixed-price modification (000105) to a previously awarded contract (FA8620-15-G-4040) for MQ-9 Reaper radar productionization. 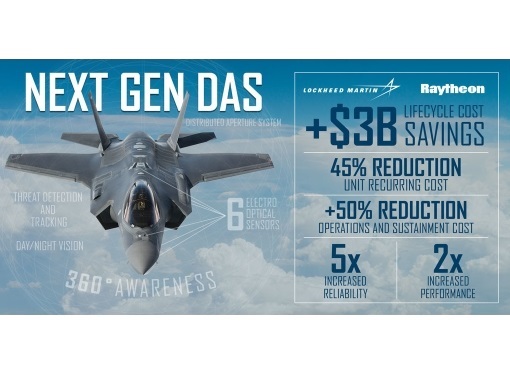 FORT WORTH, Texas --- Lockheed Martin has selected Raytheon to develop and deliver the next generation Distributed Aperture System (DAS) for the F-35 fighter jet. 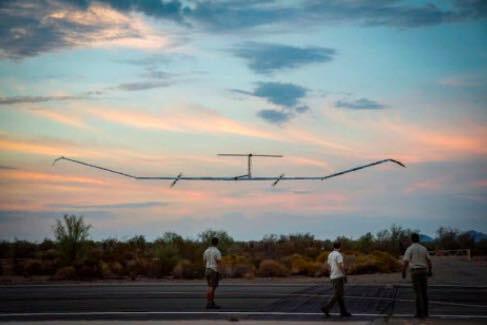 The result of a Lockheed Martin-led competition, the selection will enhance capability and reduce cost. 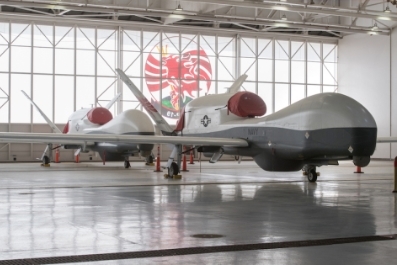 WRIGHT-PATTERSON AFB, Ohio --- In March 2018, the Air Force Life Cycle Management Center’s Sensors Program Office, working jointly with the AFLCMC Medium Altitude Unmanned Aerial Systems Program Office, sponsored three demonstration flights of an MQ-9 Reaper with AgilePod. 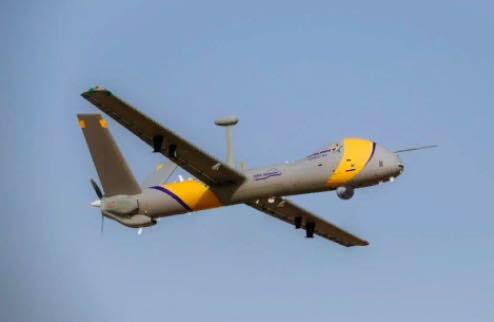 MIRABEL, Quebec --- L3 MAS announced today that it has teamed with Israel Aerospace Industries (IAI) to form Team Artemis to offer the state-of-the-art Artemis Unmanned Aerial System (UAS), based on IAI’s Heron TP, for the Royal Canadian Air Force’s (RCAF) Remotely Piloted Aircraft System (RPAS) program. 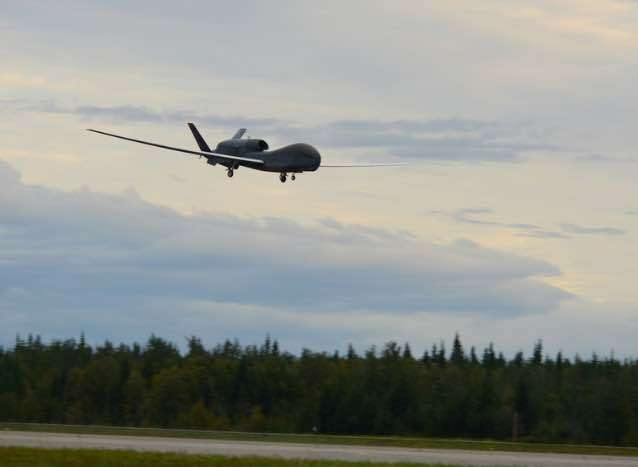 OTTAWA, Canada --- General Atomics Aeronautical Systems, Inc. (GA‑ASI) today announced the official launch of Team SkyGuardian Canada, consisting of Canadian teammates CAE Canada, MDA, and L3 WESCAM. 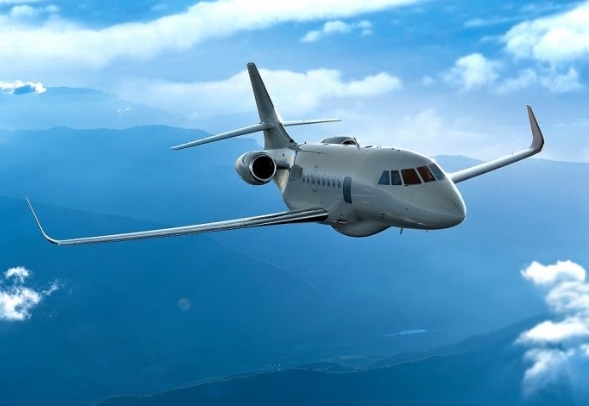 GENEVA, Switzerland --- New orders from Japan, France and Germany underscore Dassault Aviation’s rapidly expanding inroads into the multi-mission business jet market. 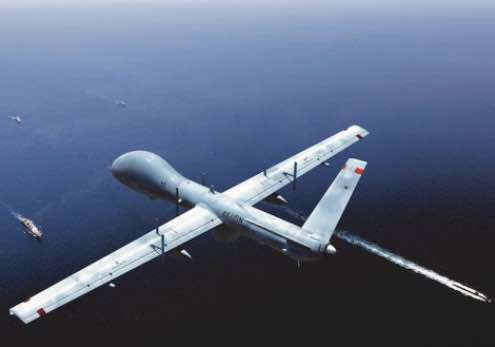 PUNE -- The Defence Research and Development Organisation (DRDO) on Friday said the Rustom-2 drone would be ready for use in two years. SMi Reports: Registration for SMi’s 4th annual Airborne ISR conference has opened and the brochure available to download After another successful year, SMi’s 4th annual Airborne ISR conference is returning to London, UK on the 24th and 25th October 2018. 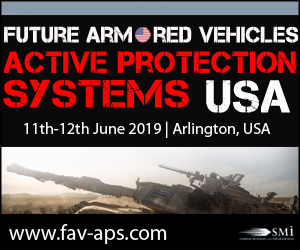 The brochure has recently been released and registration is now open for the event, which will focus on delivering enhanced situational awareness through airborne solutions.